The most effective means available for the construction of high, medium and low rise mass housing R/C structures. 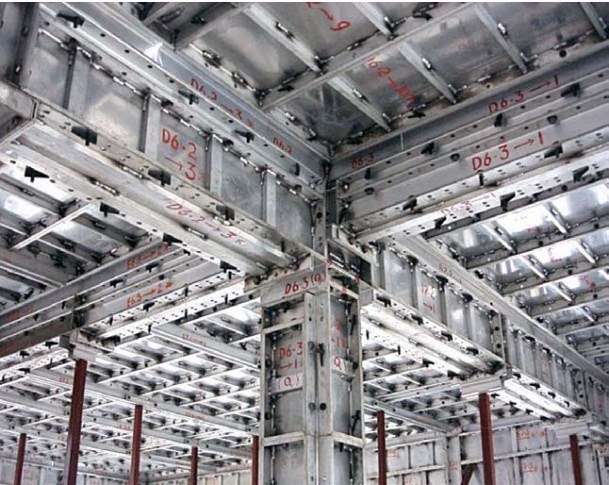 It is a precision-engineered formwork fabricated in Aluminium. Monolithic pouring. Walls, columns, slabs & beam are poured together. Speed - Induces a disciplined & systemized approach to construction, which creates a daily work cycle, the essence of the productivity. The productivity generates a overall work cycle, that can achieve 4/5 day per floor outputs or other cycle times to suit your project requirements. It is flexible in design and can form any architectural or structural configuration, such as stairs, bay windows, curved features, etc. Quality - When struck the aluminium formwork reveals a good quality fair face onto which a 4–5mm skim coat can be applied for a perfect finish eliminating need of plaster. Provides an Integrated Scaffolding reducing the cost of your scaffolding requirements. Ease of handling - The formwork panels are manually handled, generating further savings on heavy equipment and cranage. Mechanical and electrical installation is simplified where conducts are embedded in the structure and by precise engineering of outlets and service ducts. Range is 155 US$ per m2 to 225 US$ per m2, most common being 160 US$ per m2 & assumed for cost comparison purpose. Cost of Aluminum Formwork is 160 US $ per sqm. For 100 uses it will be 3625/ 100 = 36.25 Rs/sft of builtup area. For 100 uses it will be 6645/ 100 = 66.45 Rs/sft of builtup area. Total – 205 days = 7.88 months considering 26 working days per month. Next each tower (25 slabs) – 175 days = 6.73 months considering 26 working days per month. = 28.07 months, say 28 months. Add about 4 months as time to reach typical floor of 1st tower & 6 months for finishing after last floor of 4th tower. Total construction period will be about 38 months. Conventionally, for 25 storey building, RCC will take about 2 years for including foundation & 12 months for finishing. That is 36 months. This means even after constructing one block at a time, total construction period is almost same as constructing all 4 towers simultaneously with traditional formwork. I am a student of Advanced Construction Management from India, and would like to know more about how you derived these calculations for aluminium shuttering. 30% of BUP area For walls i.e Twice for both side. 5% of BUP Area for Sills, Lintels. Sum Up all Factors you get the ratio. 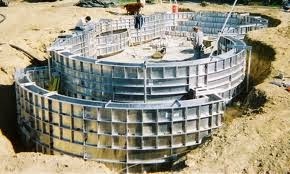 After watching the you tube and reading content on Mivan Shuttering, i concluded that it is useful mainly in multistoried buildings above 30 floors etc. that too commercial complexes or for luxury segment residential buildings with bigger carpet area's. Initial Cost of Rs 1300/- per sft. is very high for residential buildings even if towers are 30 storied. It can only be useful if residential complex is spread over 60 acres and above. Please send the details of Mivan shuttering in per square feet super built up area for G+10 storied (12 buildings) with 15 Acres Land..
My building is going for redevelopment, a very small plot and a project of 7 storey building. Can i ask my builder for mivan technology. Will it be too expensive for him? Aluminium shuttering cleaning solution to removing rust and concrete build-up on aluminium or mivan formwork. Aluminium shuttering cleaner quickly removes hardened concrete. Aluminium shuttering cleaner saving labour time in grinding and cleaning. The oxidation and corrosion of aluminium plate will not occur by using our chemical. Aluminium shuttering oil gives easy and clean surface of shutter. It ensures very high quality and good kind of concrete and with the help of it concrete becomes stain free and gives it fair faced as well. While doing the designing for building using Mivan or equivalent, the building is designed as a monolithic building which considerably reduces the quantum of steel used in the project, which is quite a good amount. 2. It gives smooth surface and hence do not require plaster. It also reduces an time and the water which is a considerable amount. We take this opportunity to introduce our self as a Distributor of BeSeal for Indian market. We attach here with detail Introductory letter , Brochure for your kind perusal and record. Check out “BeSealed®, active sealing solutions” from BeSealed® on Vimeo. Thanks alot for sharing information with us !!!!! The aluminum formwork system is used to support the structures and give shape to every corner of the building. There are many different types of formwork that is used in construction. It is used according to the building requirements and challenges. If you are going to construct your building, then you should know what are the important things? 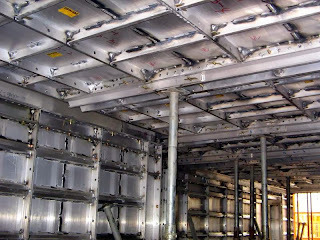 And what type of formwork suitable for your building? 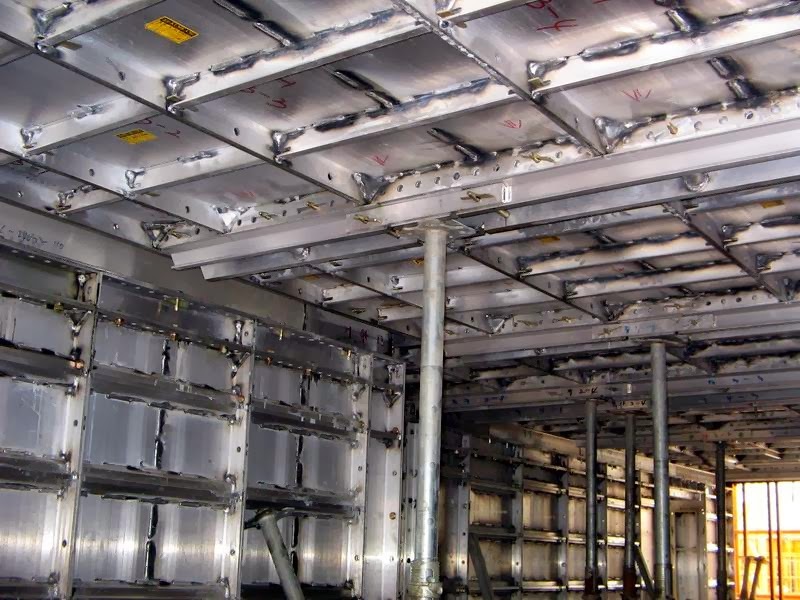 Now, it’s time to look at the helpful and important things about aluminum shuttering. Could you please provide me the cost analysis of Mivan Shuttering on any Live project with details. Please mail me on my mail id. Because I am going to start Mivan shuttering in one my mass housing project. I read your post,Thanks for sharing this. Did u find any documents on MIVAN cost analysis? Could you please share if you have any?